Happiest when he wears his pink shirt. 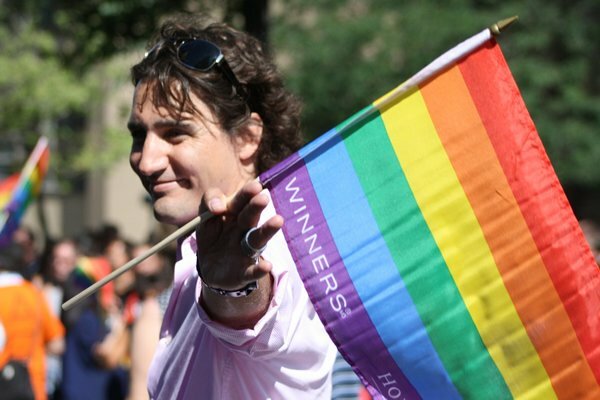 The ignominious name of Canada's Prime Minister is "Justine Trudeau." Here is some background information that will show you that Trudeau deserves to be thoroughly shamed. (1) He is a Narcissicist. Like the character Narcissus in Greek mythology, Trudeau loves to look at his "reflection." He is in love with his own appearance. Like many in the Old Testament, he has created a graven image to worship. For Trudeau, that image is a picture of himself. His God is himself and his views. 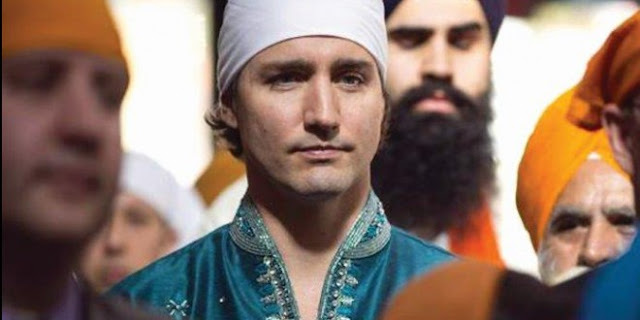 He delights in being told he is handsome and in people flattering him for his views which cheerlead Canada's New National Religion (diversity). In Canada, he is obsessed with taking selfies. In the rest of the world, he devours adulation. 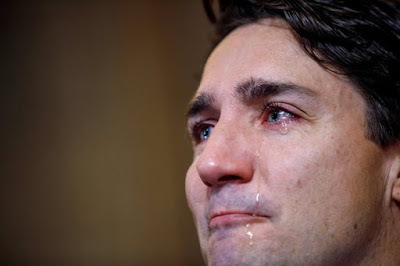 In reality, he is Canada's Barbie Doll which the political party he belongs to has cynically foisted on Canada so that they could win Canada's last federal election. (2) He is very shallow. He tries to compensate for his superficiality by making grandiose intellectual-sounding statements to his foreign media worshippers such as The New York Times as well as to groveling domestic media like The Toronto Star. In those statements, he has declared that (A) "Canada is the world's first post-national state" and (B) Canada has no dominant culture. 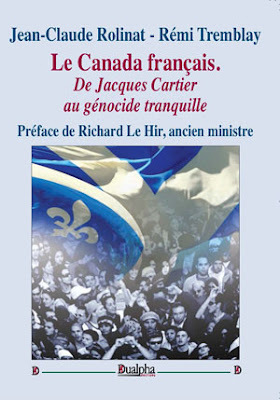 (A) is a declaration that he will not protect the needs of Canada's two largest cultural groups (the English and the French) who founded modern Canada. (B) is his xenophilic promise to Canada's growing immigrant population that he will satisfy their needs first. Many of the ancestors of Canada's majority population have been in Canada for hundreds of years. Before he and his father became prime ministers, those ancestors created the Modern Canada which became the envy of many parts of the world. However, Justin Trudeau has contempt for the work of Modern Canada's founders and is diligently working to destroy the heritage they provided to Canada. Drama acts "statesman-like" when he dons ethnic garb. (3) He is not just a shameless traitor to all Canadians who have European origins. He publicly fawns at the feet of the recently-arrived such as Sikhs, Mainland Chinese, Muslims and others. He pompously declares that "diversity is Canada's strength." While a number of previous prime ministers also did nothing to end unnecessary and historically abnormal post-1990 immigration levels, Trudeau has been worse. At the beginning of his term, he increased immigration to about 300,000 per year. Recently, he raised immigration to even higher levels. To make that announcement, he used a Somali refugee whom he had appointed a year ago to the position of Canada's Immigration Minister. In effect, that arrogant and poorly-informed Somali was the acid Trudeau threw into the faces of Canada's majority population. The Somali ended his announcement about new immigration intakes by taunting Canada's majority population with these words: These high levels are going to be the "new normal"! Needless to add, Trudeau and his Somali Immigration Minister revel in Statistics Canada predictions that Canada's founders will soon become minorities in the country of their birth — the country which their ancestors founded up to over 400-years ago! (4) He is the world champion "virtue-signaller." Virtue signallers are those who like to declare that they are morally superior to others. During the 2015 election which brought him to power, he and his party competed with Canada's two other major political parties for the position of the party that would be "most compassionate" to Syrian refugees. That meant his party would take higher numbers of Syrian refugees than the other two parties. This year, when U.S. President Donald Trump announced that the U.S. would end protection of Haitians and others to whom the U.S. had granted temporary protection, Trudeau declared in another act of virtue signalling that Canada would welcome them and all other people in a similar position. With that statement, Trudeau foolishly and unwittingly erased Canada's border with the U.S. A flood of asylum seekers soon showed up to take advantage of his incompetence. That problem continues and Trudeau, similar to Angela Merkel, is too proud and cowardly to admit his blunder. (5) For all of his treachery against Canadians, the World Court should classify Trudeau as a criminal. If you think that word is an exaggeration, please read on. Canada has at least 1 million unemployed who are now competing with recently-arrived immigrants and "refugees" for jobs. The tragedy for millions of Canadians is that as a result of other Trudeau-like policies, Canadian-born jobless will be denied jobs. Why? Virtue-signalling public and private sector employers will give preference to visible minorities in their mindless allegiance to "diversity hiring" practices. Canada also has tens of thousands of homeless. As winter begins, Trudeau virtually ensures that the country's homeless will remain on our cold streets while he offers free hotel rooms and other shelter to grasping illegals who have recently crossed into Canada to claim asylum. As you can see, Trudeau has conducted a huge extra-judicial assault on millions of Canadians. He suffers from suicidal social diseases called "diversity" and "multiculturalism" which Canadians were never asked to vote on. Remember these things the next time you see him. He, not you, has to be shamed in front of the entire world. He is a true national and international disgrace!